People often say their wedding is the happiest day of their life. So you certainly don't want to remember it for the wrong reasons! 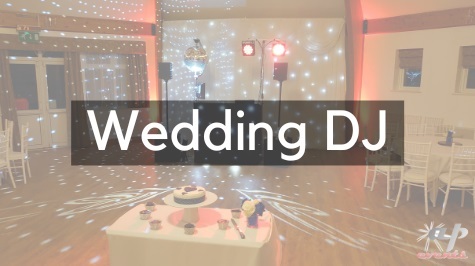 As a wedding DJ I want to help you enjoy your day; I can provide the evening entertainment as well as setting up earlier to provide background music and the use of microphones for the wedding speeches. The effort put into a wedding is usually a lot more than other type of events. A wedding should be your once in a life time experience, so you want it to be special for the right reasons and I want to help you create those magical memories. This is why I take the time to plan a wedding with you and ensure that your wedding reception runs smoothly. I don't offer "packages" for you to choose from. Instead you have the choice of me being there for just the evening disco or to setup earlier to provide background music and microphones for the speeches. I'll arrive earlier in the day to setup to provide background music during the wedding breakfast and the option to have microphones for speeches. I'll be on hand in case you need anything else during the day, such as making announcements through the afternoon. Not all venues have the space to have the disco setup all day long; for a lot of venues the disco shares the same area as the top table so it just isn't possible to be setup earlier. As soon as the room is ready I can move in and setup, which usually takes just under 1 hour. I will always do my best to choose the music best suited to the occasion and atmosphere to keep everyone dancing, but I always value your input in the choice of music. I offer an online request system for you, your family and your friends to request music in advance using the dedicated request system on my website. It's also important for me to know what music you don't want played, either particular genres or any particular tracks must not play. I also ask if there's a particular song (or two) to avoid as I don't know your family background and wouldn't want to play the song played at a funeral a couple of weeks before! I like to meet the bridge & groom in advance at the venue to discuss what you would like from me as a wedding DJ. This also provides the opportunity to confirm where to setup and liaise with the venue to check their arrangements to ensure the evening runs smoothly by resolving potential issues in advance. It's also a great opportunity for you to meet me and ask any questions, although I'm always happy for you to email or call me as well. The first dance forms an important part of a wedding; it signals the start of the evening reception and I want to ensure this runs smoothly and how you want it. I prefer to wait till you are ready and near to the dance floor to avoid any embarrasments of having to wait for either of you to walk across the room. For that extra special touch, how about getting someone special to you (such as the best man or maid of honour) to give you a personal introduction to truely make the moment magical? Some couples prefer to invite others onto the dance floor during the song, either by announcement or agreement in advance with family and/or friends. If you're struggling to think of which song to choose for the first dance, read my first dance suggestions based on choices by previous bridge & grooms. Creating the perfect atmosphere as everyone walks into your venue will be important to you, I can provide background music to lighten the mood with a wide range of music. The volume is never too loud as I keep it low to allow people to talk to each other, it's simply there as background music to liven the afternoon. 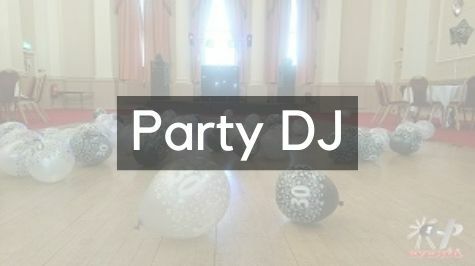 At any reception there will be the need for the DJ to make an announcement or two, but many Bride & Grooms fear having a chatty DJ all night long (think Peter Kay spoofs). While I have the experiece of using the microphone as a radio DJ, I'm conscious that a wedding DJ is a seperate role and requires a different approach on the mircophone. The speeches form an important part of the wedding reception and it's ideal for everyone to be able to hear what is being said, even the bad jokes. I can provide microphones and am happy to help those who aren't used to standing up in front of everyone with some wedding speech training. Your wedding day should be something that you enjoy and remember for the right reasons, don't let the wedding DJ ruin your reception; make sure you know what you are booking!